Argentina has a new President: Mauricio Macri. What To Do During a Terrorist Attack? What’s the big deal? Just buy a bottle of water on the go, right? Well, no. First, even if you mostly move around in urban areas and can buy bottles of water whenever you feel the need, this can become a pretty wasteful habit. Wasteful regarding waste of money, money that could be put to good use elsewhere, wasteful also regarding the environment. I’m no tree-hugger, but I can see how regularly buying disposable containers is a pretty wasteful thing to do. I consider water to be one of the most critical yet most often overlooked EDC components. Basically everything else people EDC, knives, guns, flashlights, even wallet and mobile phones, you could honestly get by without for several hours, even several days and not die. The same cannot be said about water. You will need water in the next few hours. In our permissive environment, we simply lost perspective of how precious a resource it truly is. But you need water. You need to drink it, you need it to clean wounds, wash your face after a disaster, wash debris out of your eyes or soak a hat or rag to cool down or prepare a tea or coffee when cold. Then there’s the container. A good water bottle is much stronger than those disposable ones. It can be refilled time and again for many years. With the right container you could even cook safely in it. When aboriginal societies in some isolated parts of the world are exposed to modern technologies, one of the things that amazes them the most and they themselves find the most useful is a container that can withstand fire and isn’t brittle or fragile like their clay or wooden containers. For those that are forced to survive in the wilderness for extended periods of time, several decades even, containers that they can both cook and carry liquids in are the thing they miss the most. As some of you already know, I recently relocated from Ireland to the south of Spain. During that transition a thing that got left behind was my water bottle. During those last few days everything was this whirlwind of preparations and at the last minute I just didn’t have any room for it. In hindsight I could have tried to get in along with my carry-on luggage, but given how tight airplane regulations are I decided to just leave the heavily dented steel bottle and just get a new one later on. Oh, did I regret that decision! Not a day had gone by that I wish I had my old Klean Kanteen with me. I got by refilling used water bottles but it sure was a pitiful replacement. I walked into several outdoor stores but none had the kind of bottle I was looking for. Either the design wasn’t right, or the bottle wasn’t marked as BPA free. I saw a few SIGG water bottles but after seeing first-hand how the interior liner chipped and peeled off into a toxic gunk I wasn’t going to buy one of those again. Some of the bottles out there were aluminium with no liner of any kind. Those you want to avoid as much as the SIGGs. I ended up ordering three types of bottles online. A generic steel water bottle, Nalgene and Klean Kateen. The cheap generic one had no markings and the cap said nothing about being BPA free. The Klean Kanteen and the Nalgene, these last two are the ones I most definitely recommend. 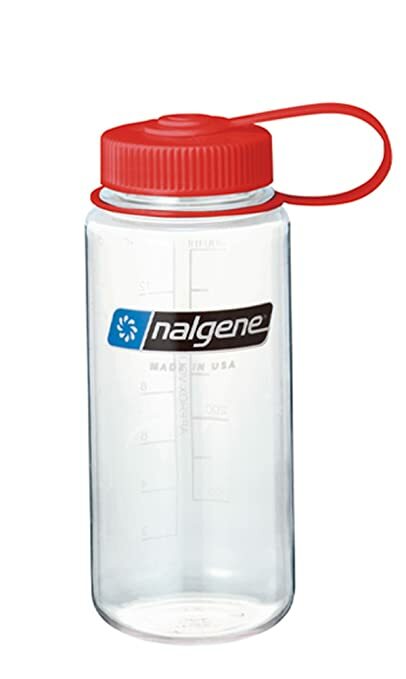 Nalgene water bottles are rightfully one of the most popular options. They are light but durable. Even though they are made of plastic, the material is much thicker than an ordinary water bottle and you can immediately tell when you pick one up that these bottles made in USA can take a beating. They are reasonably priced as well, making it easier to buy several for kits and different family members. My advice would be to buy clear transparent ones. These allow you to use sunlight to treat water with UV (SODIS). 6hs of direct sunlight can kill harmful bacteria according to the World Health Organization. These are my preferred bottles. Its steel, not likely to break, and it simply doesn’t degrade like plastic as years go by. For getting bumped around in my EDC bag or my kid’s school bag this is the way to go. You can heat them as much as you want for sterilizing, if necessary you could even boil water or cook in it in an emergency. Long dessert spoons can usually fit through the models with wide mouths, opening several new options for EDC or minimalistic backpacking. The sport cap works better than most of the other similar designs I’ve seen. So far it does not leak, but I still prefer the classic loop cap which is BPA free and extremely durable. I was happy with the 18oz model but now in a warmer region I went with a 27 oz model. It still fits nicely in most of my bags and I have enough water for the day even in warmer days. Excellent points made. I have a Kleen Kanteen, but it seems very one task specific. I like the 1 liter soda bottle, coupled with a large food can DIY cook pot - water sterilizer. I can carry the pair together in a pouch, or separate and use the pot as a container / food carrier too. A rubber band with wrap secures a lid. I also have a smaller metal can for a magazine pouch Bug Out kit I have - very small capacity though, maybe a pint. Our area is flat, but I've read that many don't like chasing round objects down hill so secure those round bottles! Ah, forgot to add - KRU 82 Vodka comes in a steel bottle container. I don't know the bottles features, but if it is used to store vodka, plain H2O shouldn't hurt it much. 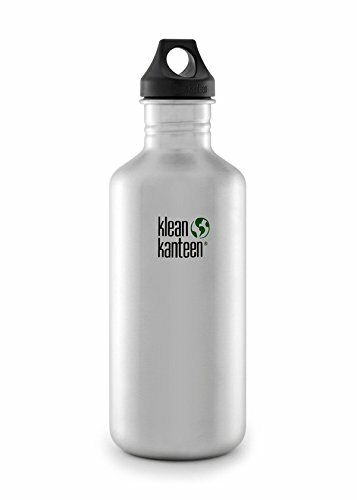 Not to push a website, but http://canteenshop.com/cooking.html has some great options for this, including accessories for the Kleen Kanteen. The wide-mouthed canteen pot (BOT) is nice, but mostly if you're camping and over fire--can't imaging unscrewing it all day. More useful are the Nalgene options. I can recommend getting a squeezable nalgene, which not only negates unscrewing the top, but is more tolerant of hard freeze. These have associated gear like the bag, a cup/pot, stove, lid, but also more useful items like the MSR pump filter or dromedaries that screw on. --We have to be realistic about how likely a fire is in a city or near your car. If you can have open fires, you may be in a Sarajevo situation with water problems beyond what a canteen can solve. The army canteen is also useful, heavy, but durable and has a lot of gear, cups, stoves, lids, bags available, and are better able to be knocked around and forgotten in the back of a truck or under the seat. Although we all love modern kit, it's fragile and expensive, don't overlook reenactment gear from the bronze age to WWI. It's heavy, durable, multi-use, and often better than modern. Wineskins and horn cups and spoons come to mind, although my favorite are corn boilers (lid is required in cold climates) and Squirrel cookers, which is just the short version of a spit. Speaking of wineskins, one of the best water bags is the 5l mylar bags from any box wine. They are sterile, flexible, can freeze, and are free. Keep one under the car's bonnet. They sell bags to sleeve them, but it would be easy to make one yourself from old jeans. Probably could boil water in one as well, using the same principle that lets you boil water in a leaf or cook eggs in a paper bag--the water caps the temperature at 100c. Natives used the same premise to cook soup or boil water in a skin bag over an open fire, but more generally using heated rocks. This would be true of any canteen system: with a little water in the pot/cup, you could heat/unfreeze the water in the bottle. Not a problem in Ireland or Spain, I wager. Anyway, thought you might like the clever offerings from the site.